This book moves around the approach that the mental health and well-being are dependent on each other. It encourages positive thinking, and beliefs can change the habits, nature, personality and everything around us. It explains the things that the writer has learned over the years. 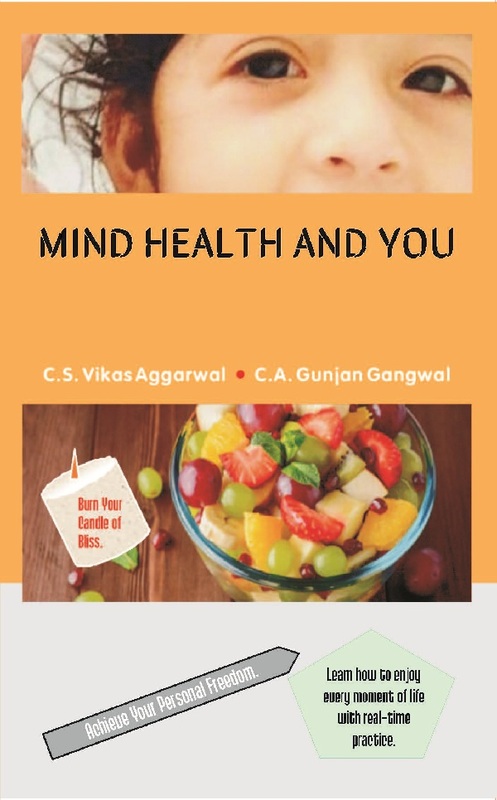 The key point of the book is that it is providing real-time practice after each paragraph so that a reader will know the real art of living, enjoy his rest of life in happiness and know the delicious taste of success. It breaks the boundaries of image creation and guides the reader about how to achieve personal freedom. It helps book readers to remove the darkness of life forever. It guides the readers in all stages of life, whether it is the art of becoming conscious and bliss, or in all cases of business and professional world. C.S. Vikas Aggarwal was born in Kolkata and completed all his education from Delhi. He is a member of Institute of Company Secretary of India. He has been involved in consultancy of E-Commerce, Finance, and health for over ten years. He is the author of books on Taxation “GST CONCEPTS FOR ALL.” He has achieved personal and financial freedom; and he shares his proven strategies with several industries like Electronics, Fashion, Automobiles, and Publishing. C.A. Gunjan Gangwal, (FCA,CS,BCOM) was born in Kuchaman city. He is a respected member of ICAI and ICSI. Presently he is serving in education sector. He wants to thank his wife, sister (Garima Jain), family members and all near and dear ones who supported him.